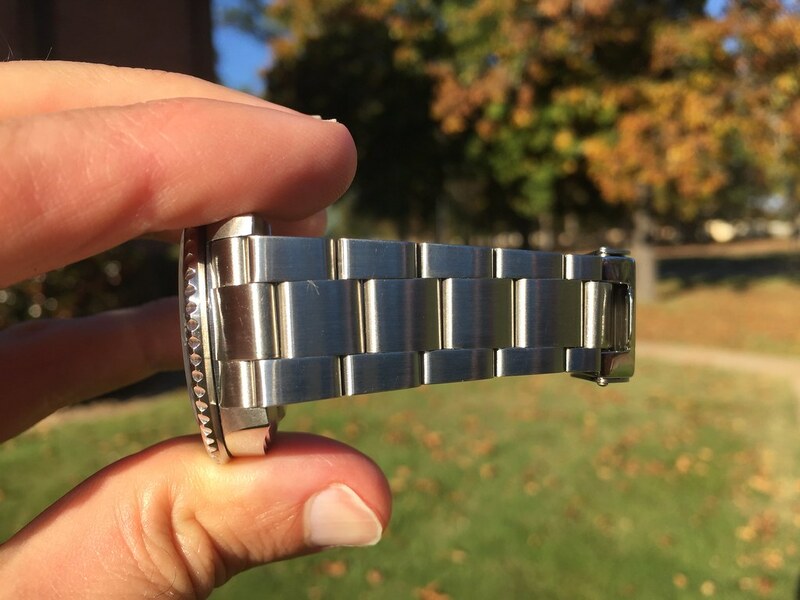 TimeZone : Rolex - Modern » Oyster Bracelet Restored -- Beyond Amazed! Greetings! I had some pretty moderate stretch in my M-serial 16610LV. While I could have lived with it, I prefer little to no stretch. 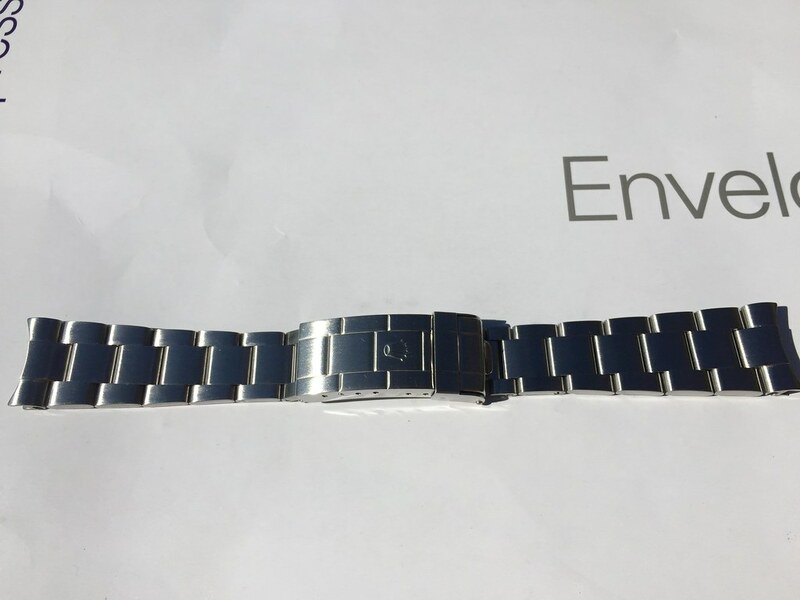 So, I sent the bracelet off for repair and received back this week. Total time door to door was about nine weeks. 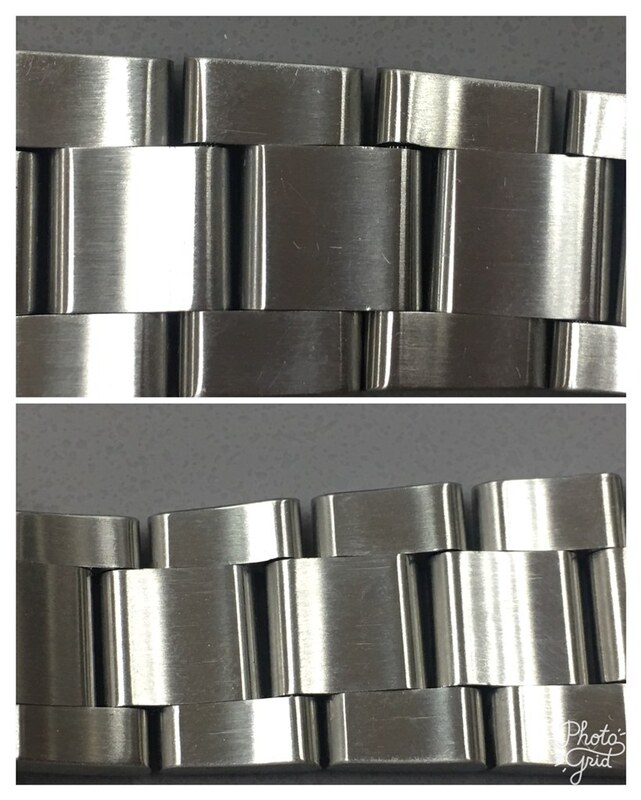 I was floored at what was possible in bracelet restoration as this work exceeded all expectations. Moreover, the price was definitely not expensive. Here are some before and after pics. I wish I had actually taken some of the before pics, but I forgot. MY friend who did the repair was kind enough to snap this before pic. You can see evidence of stretch primarily on the top piece. Thanks for looking and HAGW. That's some pretty solid work on stretch removal! I'm pretty sure everyone knows who did the work, just trying to stay within the posting guidelines. Feel free to PM me if you want additional detail. Yes, it's like NOS now! Hard to fathom. Incredible! How was it done? What is the process? Not that I would even consider doing it myself. Can it be done by RSC? Thanks Sparkle. 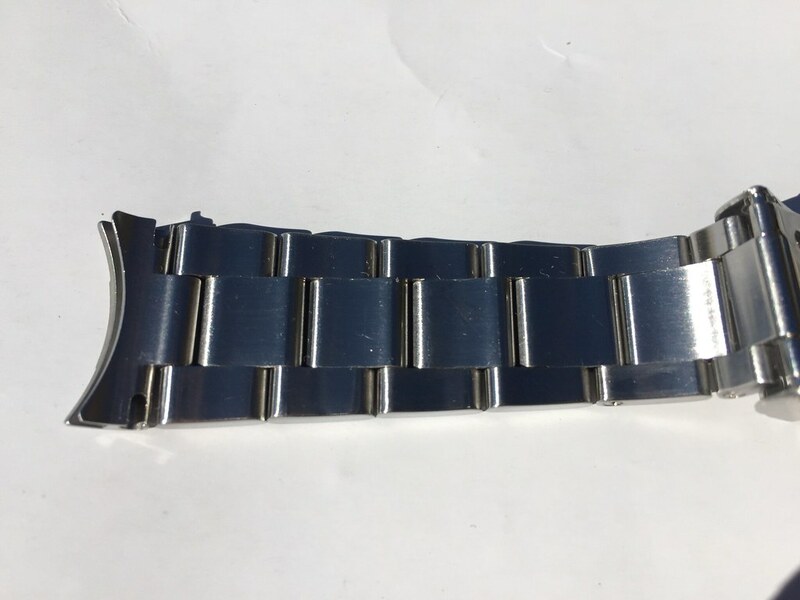 No, RSC will not restore your bracelet; however, they'll gladly take your old one and sell you a new one. I have seen these restorations before. How do they do that? Just curious. The Rolex stretch is in the pins. 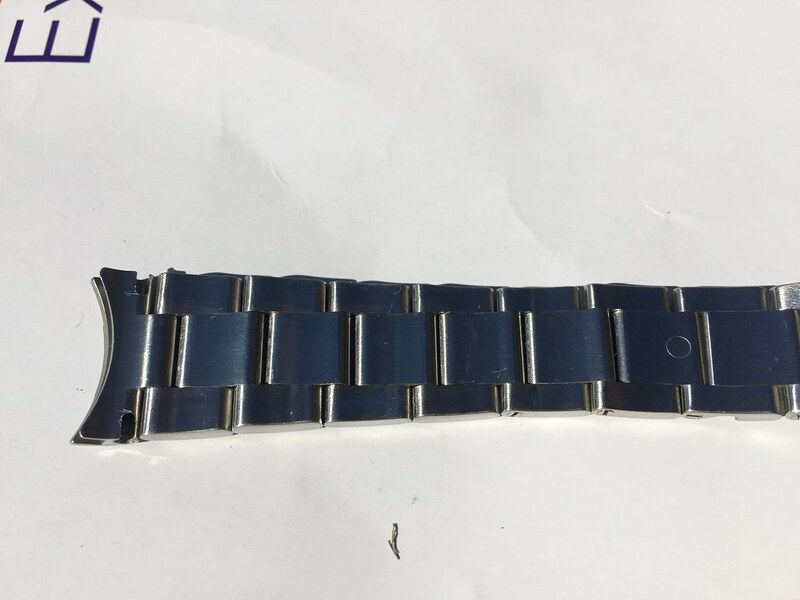 The new Rolex day date has ceramic coated pins to prevent stretch. The restoration comes from a combination of adding sleeves to existing pins and laser welding. Looking good Aaron. Very impressive result.